Welcome Again! In this post we will discuss about the main part of the whole Quadcopter/Multirotors system. Here we will learn about Different Motions of flight in Quadcopter/Multicopter | Yaw Roll Pitch. Before knowing about Different Motions of flight in Quadcopter/Multicopter | Yaw Roll Pitch you must know the basics of Quadcopters or UAV or Multirotors. As we are discussing about Different Motions of flight in Quadcopter/Multicopter | Yaw Roll Pitch so we must know about the system on which we want to implement it. The three motions of a Quadcopter flight are Yaw, Roll, Pitch. Before doing anything else everyone should be aware of these motions. Here we will deeply discuss the motions of flight. As the name says Quad means four, it uses four motors and four propellers. These pair of four motors and propellers will generate particular amount of thrust, which make the Quadcopter to fly high. The direction of rotation of these motors in not same. Two of the motors rotate in the Clockwise direction and two motors rotate in the Counter Clockwise direction. Uplift: Moving the quadcopter high in the sky is known as uplift. Moving the throttle stick from the controller in the forward direction will move the quadcopter more high. Downfall: Moving quadcopter close towards the ground level is the downfall. Moving the throttle stick in the backward direction will move the quadcopter down. 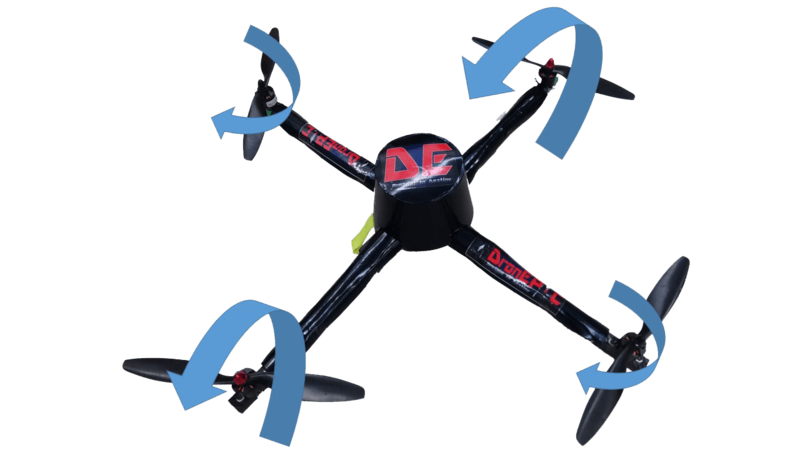 Yaw: the yaw motion is defined as the motion when the forward side of the quadcopter rotates towards right or left. This yaw motion can be fully controlled by the throttle of the controller. Roll: Roll motion is flying the quadcopter either in right direction or in the left direction. These motion are also given by the throttle of the controller. 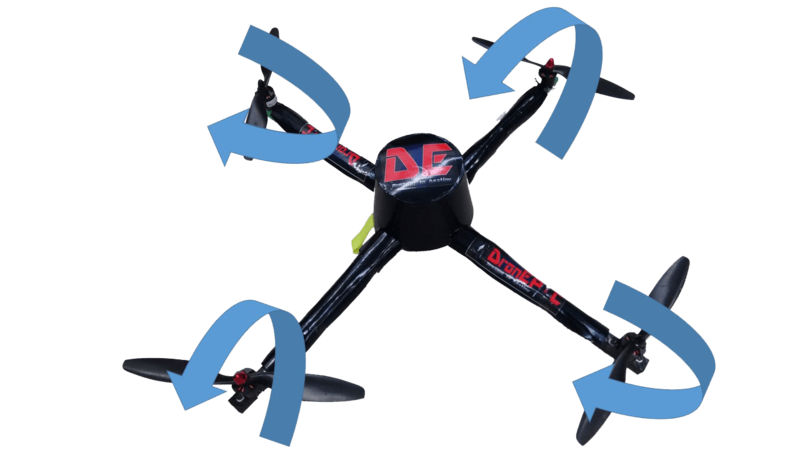 If stick is moved to right side quadcopter will fly in right direction, whereas if stickis moved to left side quadcopter will fly in the left direction. Pitch: Pith is the whole movement of the Quadcopter either in forward direction or in backward direction. It is also fully controlled by the throttle of the controller. Moving the throttle forward will move the quadcopter in forward direction. Whereas, moving the throttle in backward will move the quad copter also in the backward direction i.e. near to you. 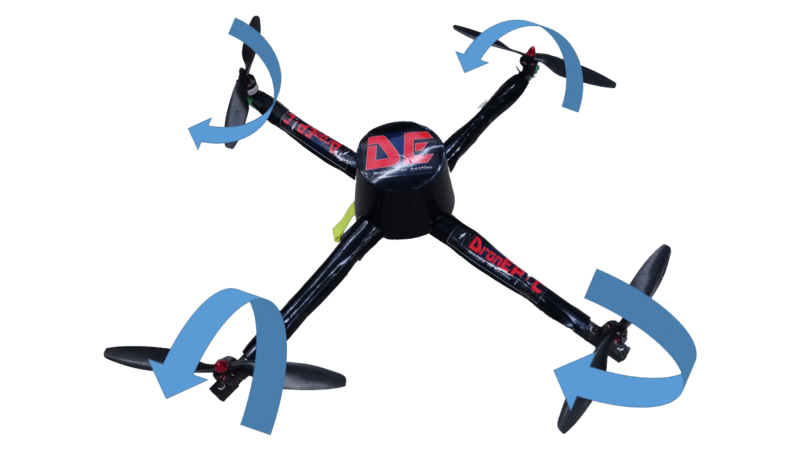 Hope you liked the above article about Different Motions of flight in Quadcopter/Multicopter | Yaw Roll Pitch. How can we use it in various systems? If you liked the above given article do share us on social networking like Facebook, Google, Twitter and others.